We are considering renaming our nonprofit though not changing its vision, mission or style guide (color palette and font set). 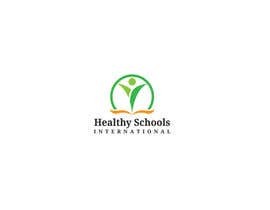 This contest is to design the new logo for "Healthy Schools International" that reflects the spirit of its vision to help students thrive by partnering with communities to implement clean water, safe sanitation and solar electricity projects at their schools. 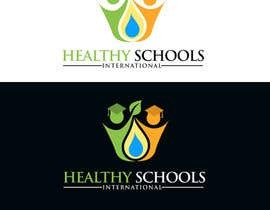 Our current work is in Africa; however, our charter is to work anywhere in the world where there is need. We wish to project a solid, modern persona with both a community as well as a methodical/engineering feel to it. The best design will reflect this vision in a clean, high resolution file (2Mb minimum) in .psb format, as well as scalable to smaller .psd, .png, .jpg and even .ico formatted file. The design will be used in all media forms (web, including flavicon, and print) so it will need to be able to scale while remaining high quality. Alternatively, if needed for smallest scale, include in your submission an additional file for the flavicon. The design's color scheme and font (if lettering is included in the logo submission) will be compatible with or complementary to, the attached color palette and font styles. 3) Avoid using the "Public Clarification Board" to encourage us to look at your submission--the Board is used to ask questions and for us to respond. 4) When you are asked to adjust your entry, respond in a timely manner. Again, thank you all for your submissions! You all should be proud of your work, no matter the outcome. The decision has been very difficult--there were so many good choices making it hard to pick the most desirable for our organization! Waiting for your final decision . One week to go! We have had over 210 entries and so far there are 15 continuing to be refined. Today we will start rejecting entries whose submitter has not responded to our recommended refinements. Good luck! Please keep your entries free of effects such as 3-D/embossed/raised, shown on paper or a wall. Also, remove any shadowing effects. While shadowing my improve the look in certain media, we first want to see the logo stand on its own graphic quality and design. Thank you! How this will proceed: I am coaching each competitor on how their graphic might be improved (as long as their submission meets requirements laid out below). Toward the end of the contest I will have some of our leadership vote on the best entries and then we will select the winner from there. We are up to 135 entries! There are some great concepts and I appreciate everyone's responsiveness. There are at least 20 that are serious competitors at this point with 1 week to go. Good luck to everyone! Don't be discouraged if I reject one or two of your submissions since they are usually duplicates to the remaining one. There are almost 60 entries now and (unless I tell you specifically that we do not like the entry because of its color or subject) the rejections are simply to help float the most desirable individual entries to the top of the list. We like that some entries show what the logo might look like on stationary and on a wall or brochure; however, we will be focusing on the logo as would be seen on the web. 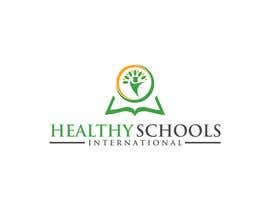 Please let's not submit entries that are stand-alone trees or apples since they may depict learning/schools, they do not sufficiently depict our mission.